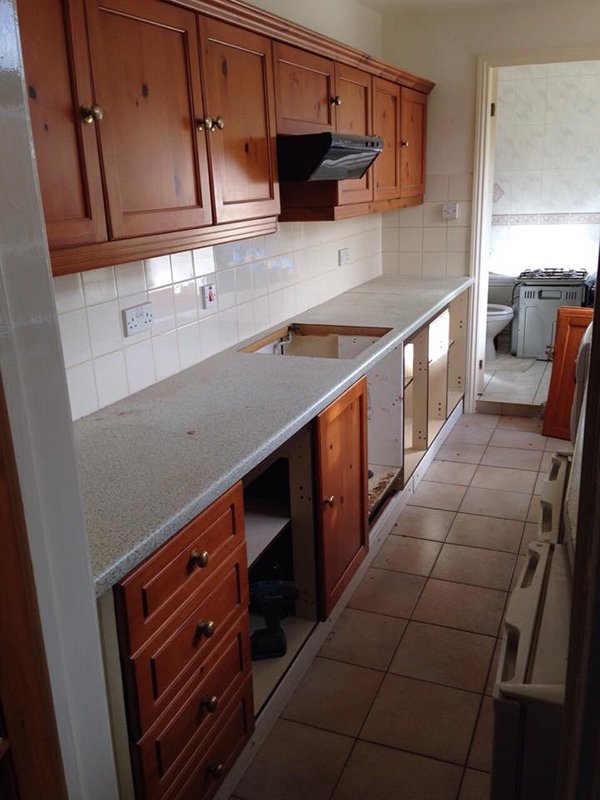 Norcroft Construction were hired to fit a new kitchen in Sunderland. 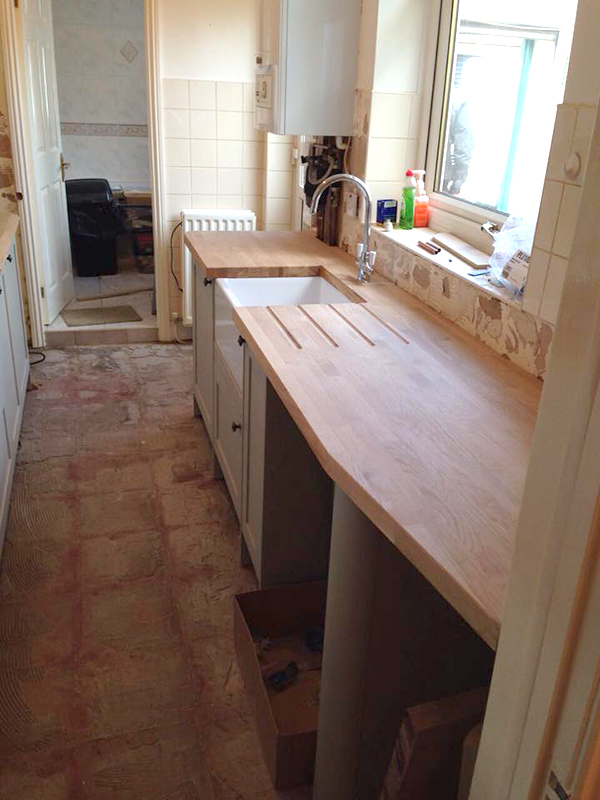 The client wanted a natural modern style with real oak surfaces and a ‘Butlers’ sink. 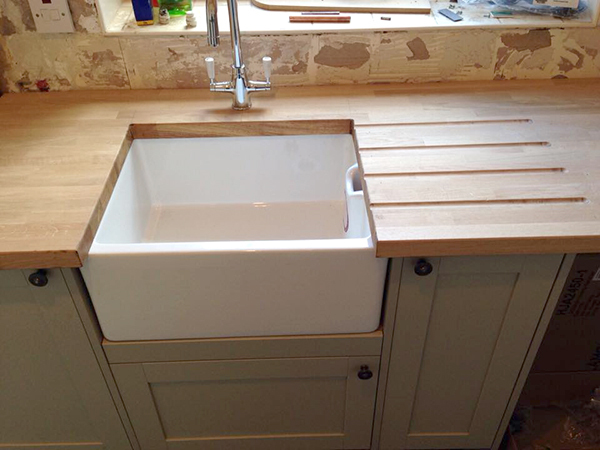 A close up of the Bultlers sink fitted neatly with oak drainer. 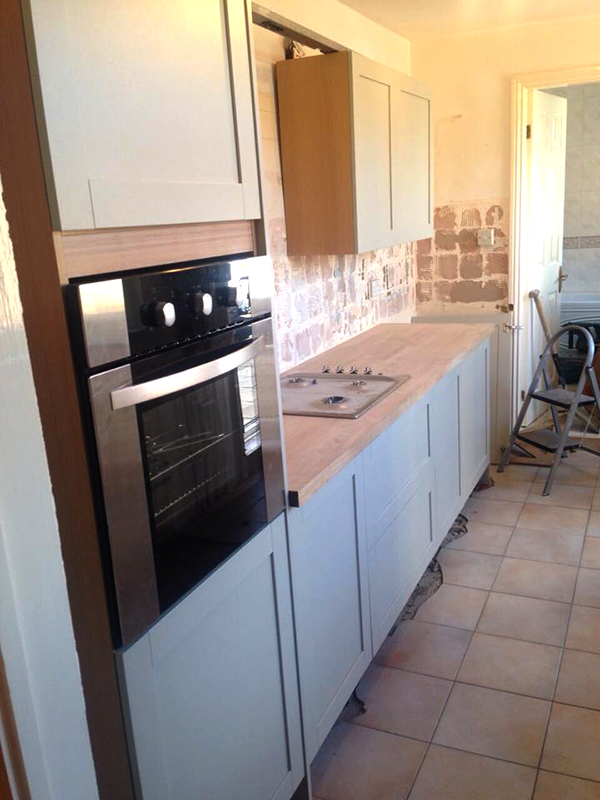 If you need a kitchen fitted in the North East inc Newcastle, Sunderland, Durham, Teesside, Northumberland get in touch.